If I haven’t posted lately on the DarkDale blog, it is because I was busy completing another project, which finally came to an end and was released this Monday. If you remember, the idea of developing a new role-playing game started out of my implication in the modding community for Legend of Grimrock. Well, I undertook a year ago to lead a massive modding project which ended up involving twenty-two modders in what is probably one of the biggest and most complex dungeons released for the engine. The basic premise of the One Room Round Robin 2, which is the sequel to the first mod of the same name, is that everyone had to create an original room/puzzle in a limited space, which was a maximum of 9×9 tiles, on three floors. Limitations fuel creativity, and everyone came up with fantastic ideas. But I wanted this to feel like a coherent experience beyond a collection of individual elements, and went on designing and building a complex dungeon superstructure to glue all of this together. Wow, what a job it is to manage a team of 22, from getting everyone’s submission in reasonable delays, to merging everything together, adding all the scripts to manage the players’ progression through the dungeon, and overseeing the testing team, which started its work in December and went through 3 betas and 4 release candidates. Of course, I had a lot of help and support from wonderful people who allowed me to get it through to the end. Yes, this has forced me to postpone DarkDale development for about two-three months, but I couldn’t back up on what I engaged myself to complete and let everyone down, nor could I wrap it up half-baked in a hurry under the pretext that it was “just a mod”. It is a project I am proud to have led, and I urge all rpg/dungeon crawler fans in the room to rush and download it right away, I promise you won’t be disappointed. Besides, I acquired a lot of experience about game development that I promise will be put to good use on DarkDale. 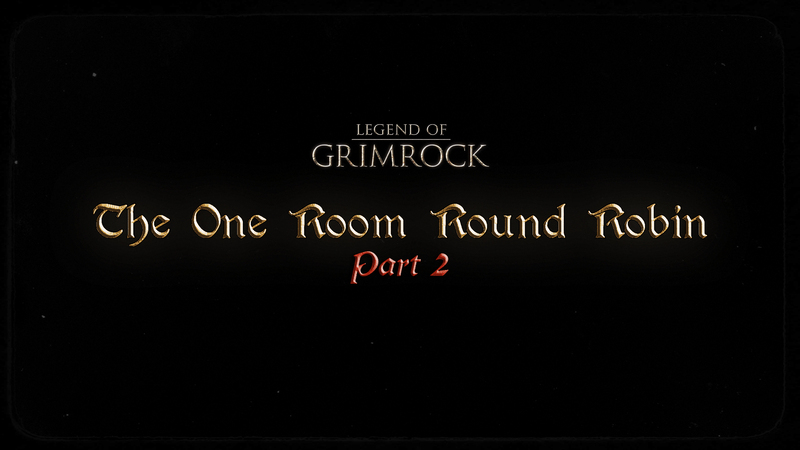 To read all about the project, including links to get it on the nexus and on steam, go check my main thread on the Legend of Grimrock forums: http://www.grimrock.net/forum/viewtopic.php?f=14&t=6453. The mod has been downloaded over 300 times in about a week and a half, with overwhelmingly positive reviews! So while waiting for DarkDale, you can join the fun and have a preview of my dungeon design abilities. 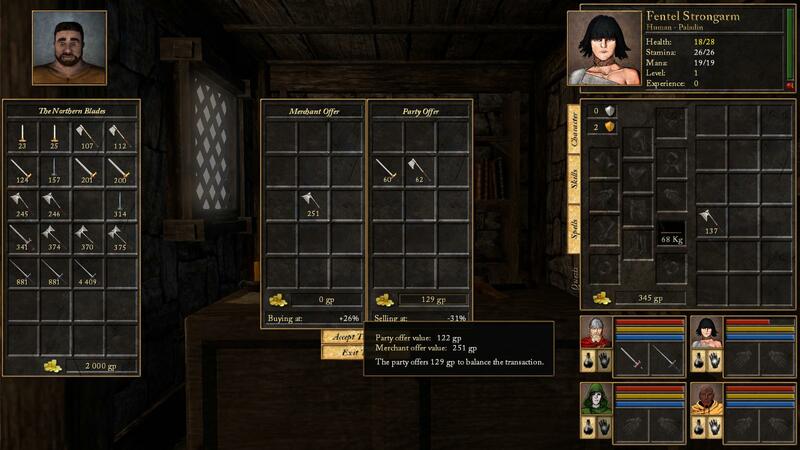 The trading interface in DarkDale (WIP) . 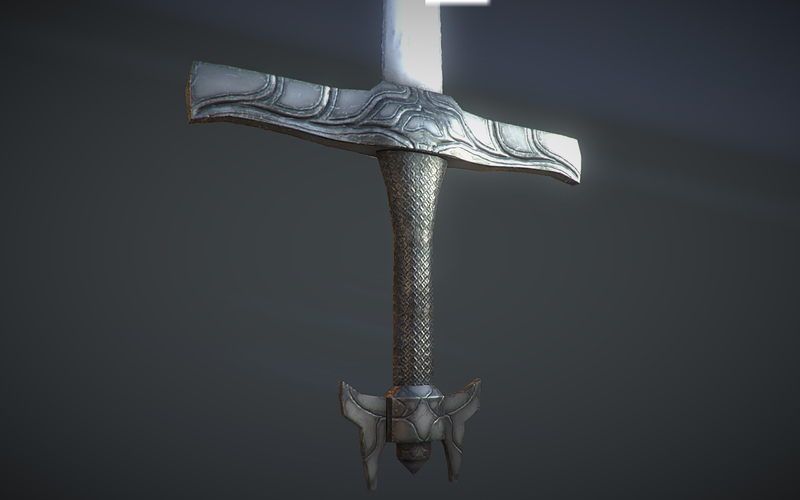 Close-up shot of the silver longsword.